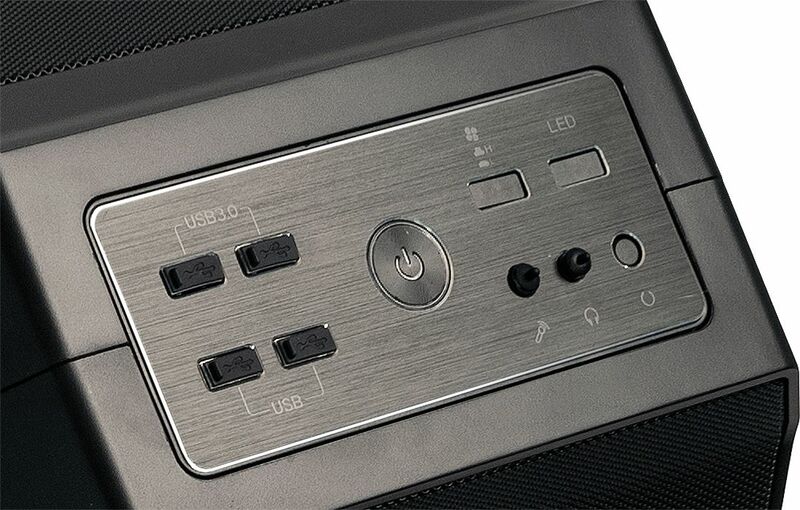 The Master M400 standout feature is the diamond cut front I/O panel that includes USB 2 and 3 ports, fan and LED switches and audio ports. 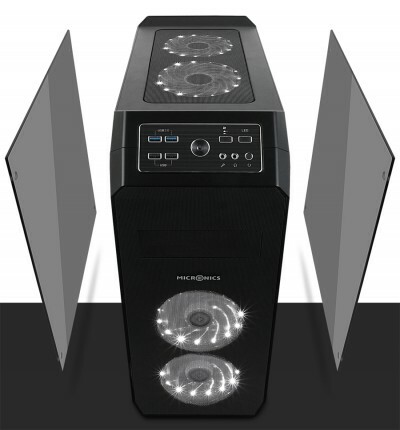 It also features LED fans and the possibility of mounting a graphics card vertically. The Master M400 Mesh from Micronics is a great chassis for housing any PC, especially if you like to display the internal components of the PC. Both side panels are tempered glass, giving a clear and unobstructed view into the inside of the chassis. 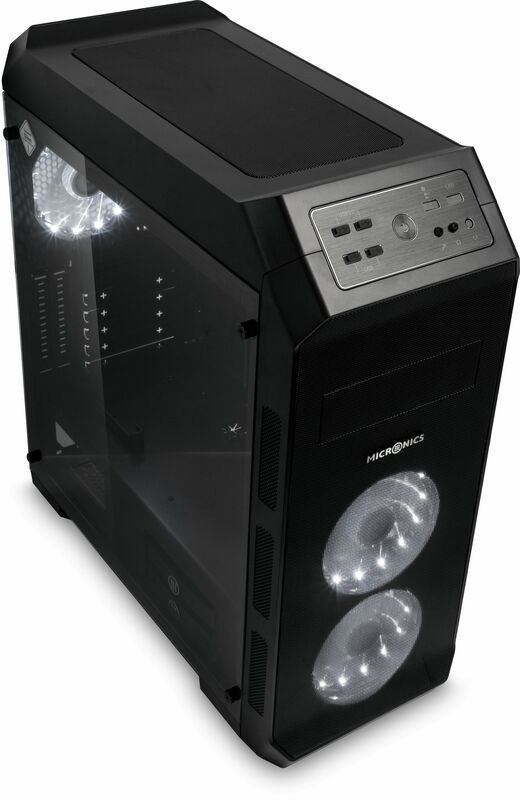 While the front and top of the chassis have a mesh design to give excellent airflow and cooling potential. The chassis is supplied with three white LED case fans that not only help to cool the internal components but also illuminate them. Micronic's M400 Mesh sports a unique octagonal exterior with the main focus being the diamond cut control panel that includes two USB3.0, two USB2.0 and audio ports, a high/low fan controller and the usual power buttons. It also has a integrated LED switch that is designed to work only with RGB fans (available separately). Each side panel of the M400 is manufactured from tempered glass, giving it a whole new level of quality and an unobstructed view into the chassis. As well as the three supplied 120mm white LED fans, the chassis can also accommodate a two further fans at the top of the chassis (not supplied), as shown in the image below. It also supports 240mm water cooling radiators which can either be installed at the top or towards the front of the chassis. One of the most unique features of the M400 is the fact that it is possible to install a graphics card vertically. This rotation of the graphics card points the cards fans towards the side panel, so you can see it working in all its glory! To be able to mount the graphic card this way a riser card (available separately) must be used. 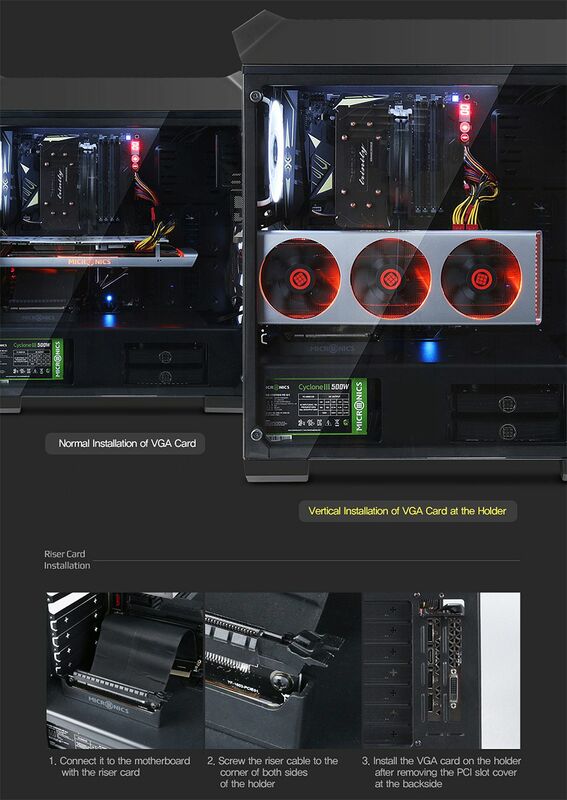 Please note, that mounting the graphics card vertically may prevent installation of other expansion cards. 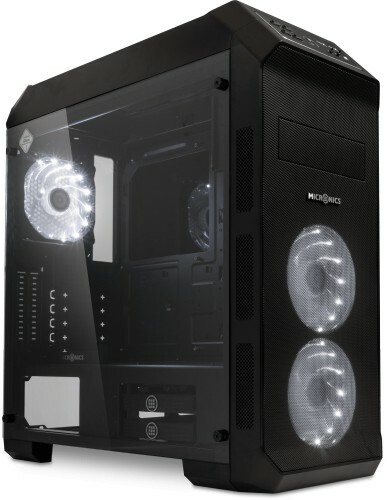 In terms of compatibility, the chassis can be installed with graphics cards up to a length of 390mm and CPU coolers with a maximum height of 160mm. It supports a single 5.25" and either 6x 2.5", or 4x 2.5" and 2x 3.5" drives. Finally, it accommodates full size ATX PSUs that is housed in a PSU cover that helps provide convenient and easy cable management of the power supply. Drive Bays 1x 5.25" and either 6x 2.5", or 4x 2.5" and 2x 3.5"